Feat ► DJ RLGN ◄ & Guests. 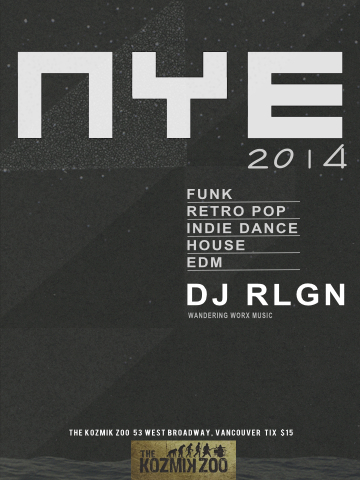 The Most Reasonable NYE Ticket pricing in Vancouver! ✶ Groups of 5 and more save $5 in advance booking. You will receive the best rates in town for rentals/events with us. To book your Christmas/New year’s Parties.